Past and Future Medical Expenses – This will cover medical expenses in both the past and the future. These damages may also include coverage for certain medical equipment and transportation costs related to health appointments and doctor visits. Wage Loss – The purpose of this damage is to make sure the injured worker does not lose any wages he/she would have earned if the injury had not occurred. The difference in wages between old and new jobs should also be covered. Pain and Suffering – Some severe injuries cause extreme pain and suffering. The goal of this damage is compensate the victim for going through extreme discomfort. This can be difficult to collect under Pennsylvania and New Jersey law, but so long as a Plaintiff can establish that he/she suffered a serious injury, they may be entitled to Pain and Suffering damages. Emotional Distress – Injuries and accidents can cause long-lasting effects, such as emotional distress and/or mental anguish. 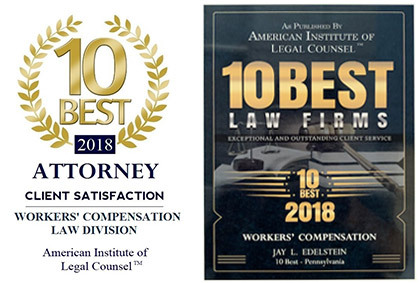 Emotional distress can also be a difficult damage to prove, but a seasoned and experienced attorney from Edelstein Law will work diligently to make sure that it can be so proven. Loss of Consortium – This type of damage is meant to compensate an individual for the loss of love and companionship of a spouse who was injured. It refers to the loss of benefits of a married relationship, including aid, support, and companionship. The amount of damages will vary greatly and depend on many different factors, including the seriousness of injuries.